For my layout, I used the 4×6 “awesome” card and the 4×3 “summer” card as embellishments with my photo in between. Both cards are from the Summer themed stack, and are just two of the sizes included. There are also 3×2 and 4×4 cards in each stack, perfect for not only layouts and pocket scrapbooking, but cards and crafty projects too! I embellished the awesome card by adding the arrow and recorded stickers, and then added a bit of foam tape under the memory sticker to give it a bit of dimension. The For All Seasons Cards just made their debut on The Home Shopping Network last week, you can check them out here! 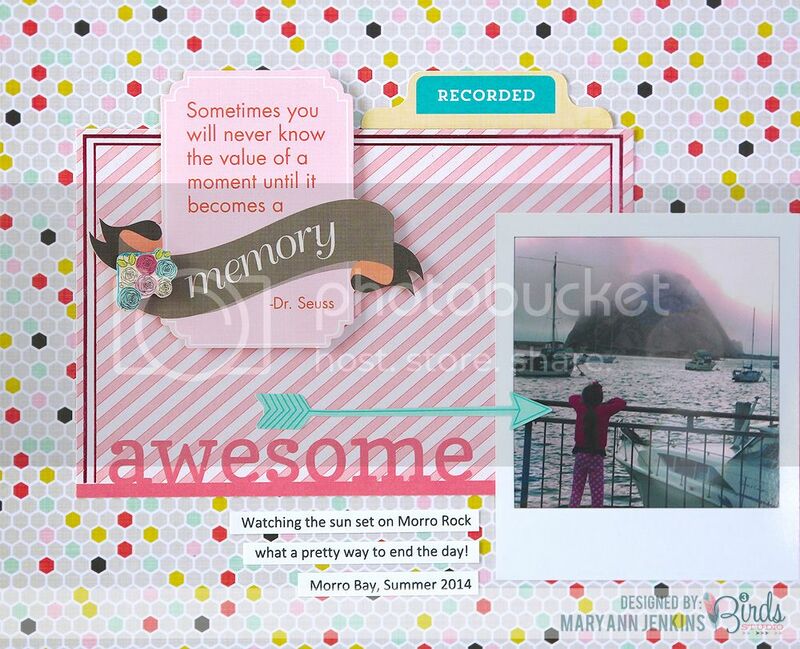 Stunning layout, Mary Ann! 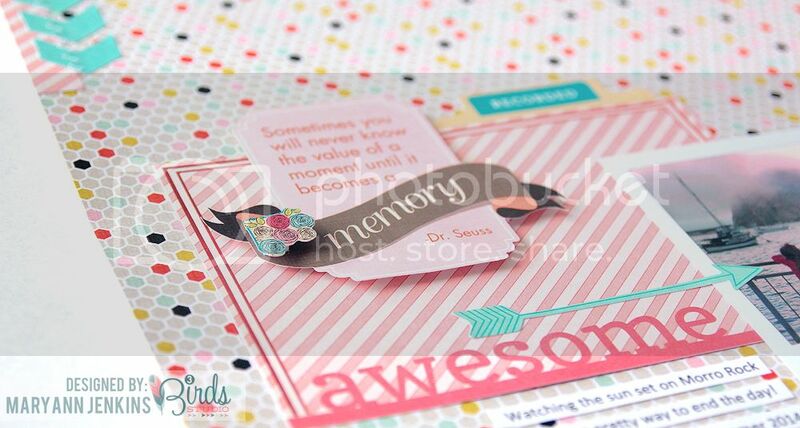 Love that polka dot paper for the background! !